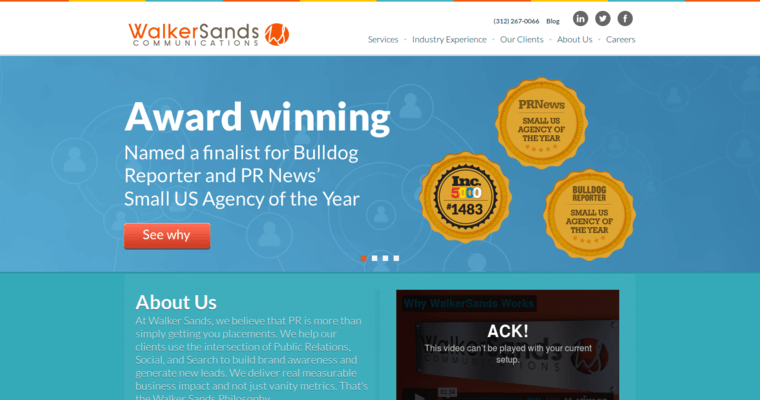 Founded in 2001, Walker Sands is a top Digital Public Relations firm based in Chicago. 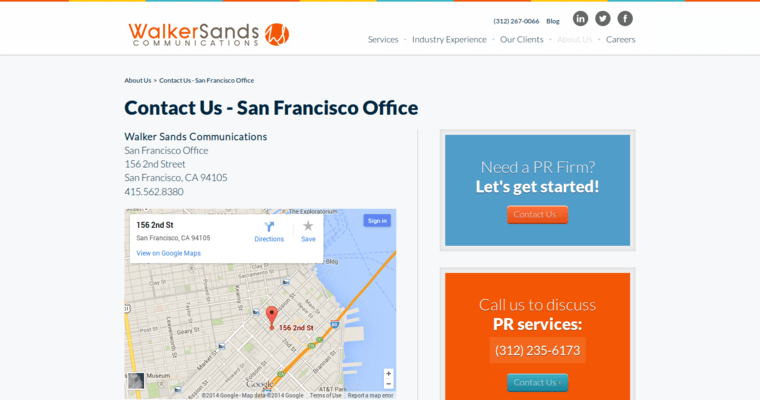 Walker Sands represents a number of well-known clients brands such as Grubhub, Uptake, Sprout Social and OpenX. The firm provides a number of services for its clients including Public Relations, Content, Demand Generation, Creative, Branding & Strategy. Overall, the firm specializes in servicing brands from the Fintech, Electronics, MarTech and Retail Technology categories. 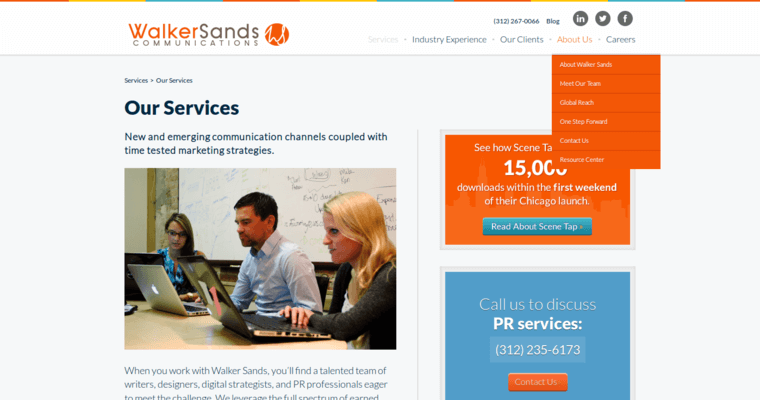 Walker Sands has been named a 50 on Fire company by Chicago Inno. And the firm has been named by Inc. 5000 as one of the Fastest-Growing Companies for six years since its inception. Currently, the firm employees 90 full-time staffers and enjoys 4.8 rating from Glassdoor.com.